If you feel that you're spending far too much on utility bills or frequently running to the doctor to treat common cold or allergy, then there could be a problem with the air ducts. We at Air Duct Cleaning Walnut Creek guarantee a clean air duct system by using powerful techniques and high end equipments. Call us today and experience a breakthrough in the way you live and breathe as dirty air ducts will be a thing of the past. Our expert technicians are happy to explain the cleaning methodology and you can be assured of a clean and green home. 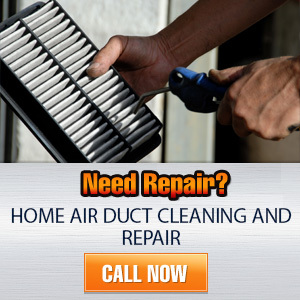 Let us resolve problems and make improvements for you with our professional air duct cleaning services. 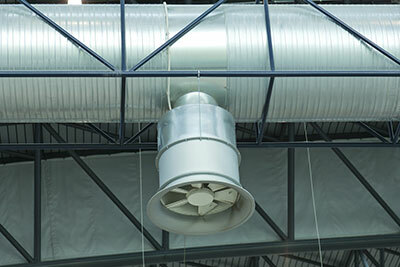 Count on us to eliminate all contaminants from the ductwork of the HVAC system and to make any repairs, if required. The solution includes air filter replacement for giving you the highest possible home indoor air quality. With air duct sanitizing, the results are preserved for longer. Let us optimize your HVAC system's energy consumption even further with our condenser unit cleaning service. Our solutions cover other systems of the house too. 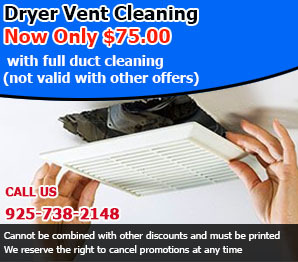 Rely on us to clean and fix the dryer vent. With the removal of the lint buildup, the appliance will use less energy and work more effectively while the risk of fire will be minimal.